The manufacturer of "Miramistin" became the winner of the "National Pharmaceutical Rating"
Winners and laureates of the National Pharmaceutical Rating were determined in 12 nominations. The prize is awarded for the third time. It is based on independent objective estimates of sales volumes and a wide database of the Russian analytical agency DSM Group, covering more than 1,300 domestic and foreign manufacturers, more than 5,800 brands. Infamed K manufactures Miramistin and Okomistin. It is the anchor resident of the Ecobaltic industrial park. In 2019, the company plans to implement a broad investment program at the industrial site. Among the projects planned for implementation are the commissioning of plants for the production of pharmaceutical substances, solutions, a pharmaceutical warehouse of standard GDP with a sterilization site, a complex of laboratory studies, etc. 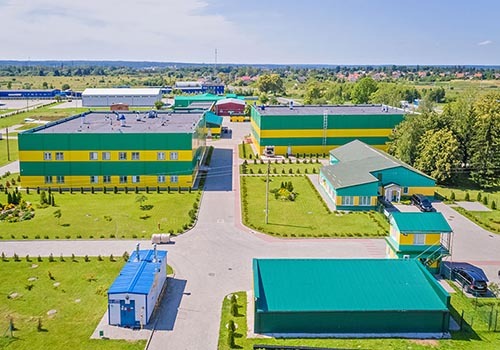 Together with the projects of other residents of the company, INFAMED K will provide the full cycle technological process in Ecobaltic, from the development of new dosage forms to the packaging of preparations made on its own pharmaceutical raw materials.